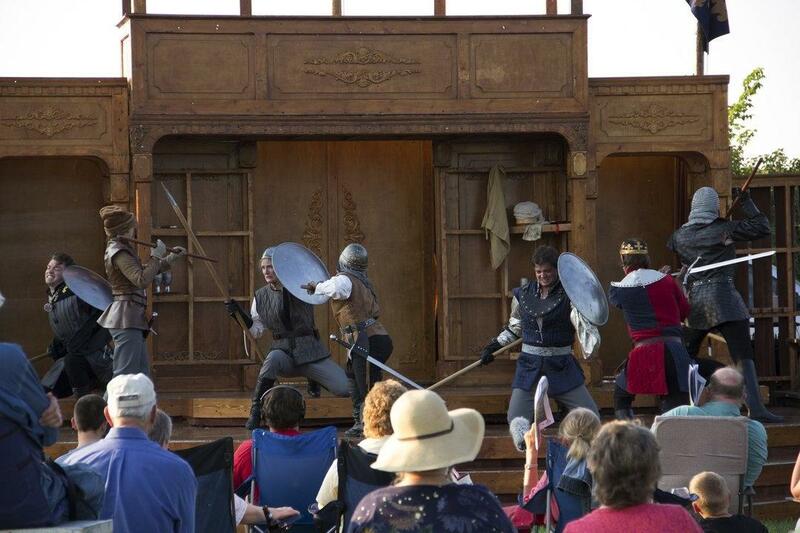 A summer on the road with Montana Shakespeare in the Parks. 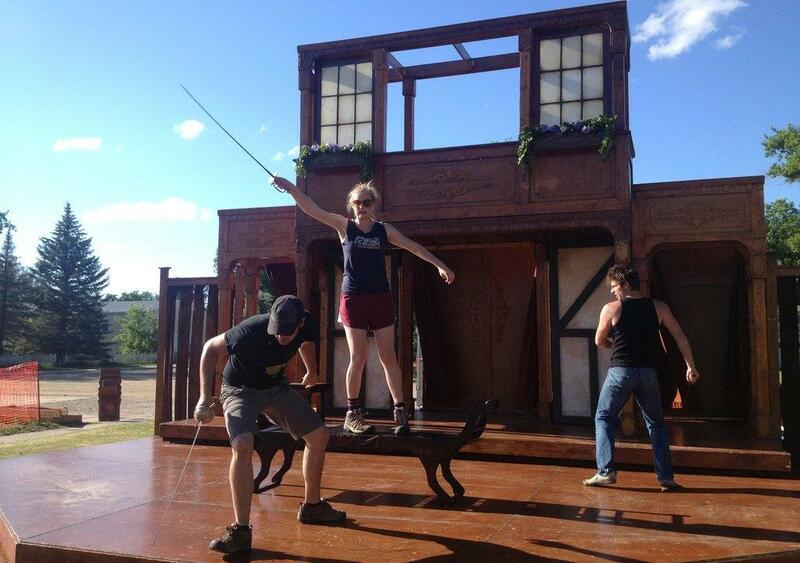 A behind-the-scenes look at a summer of Montana Shakespeare in the Parks. 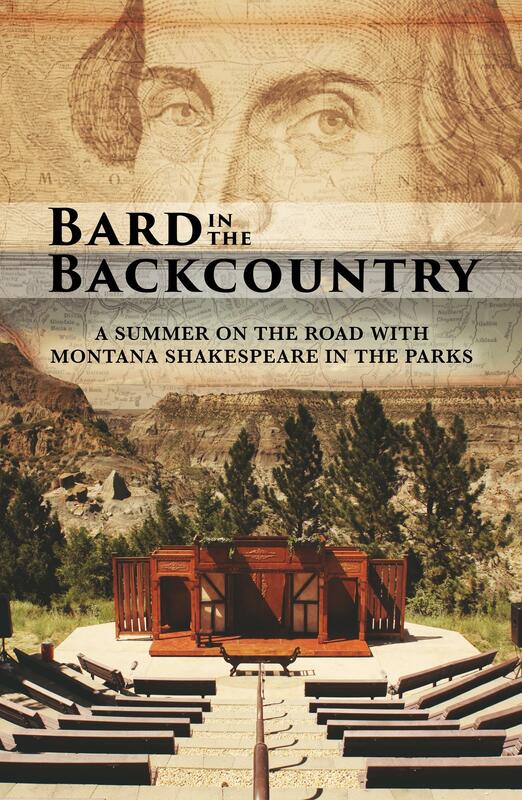 BARD IN THE BACKCOUNTRY is the story of Shakespeare in Montana. 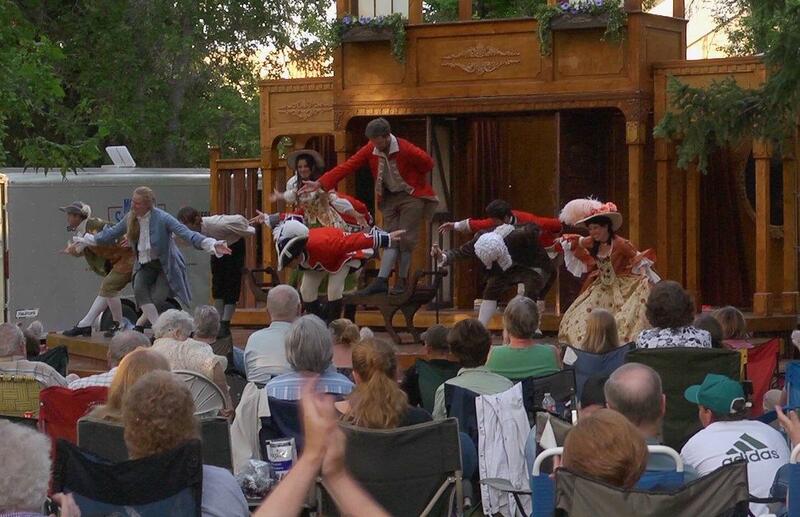 It's a behind-the-scenes look at a summer of Montana Shakespeare in the Parks - from first read through to final performance. Through the journey of the summer tour, the story reveals the mutual impact the tour has on the lives of these young actors and the people who put in the effort to bring the show to town. 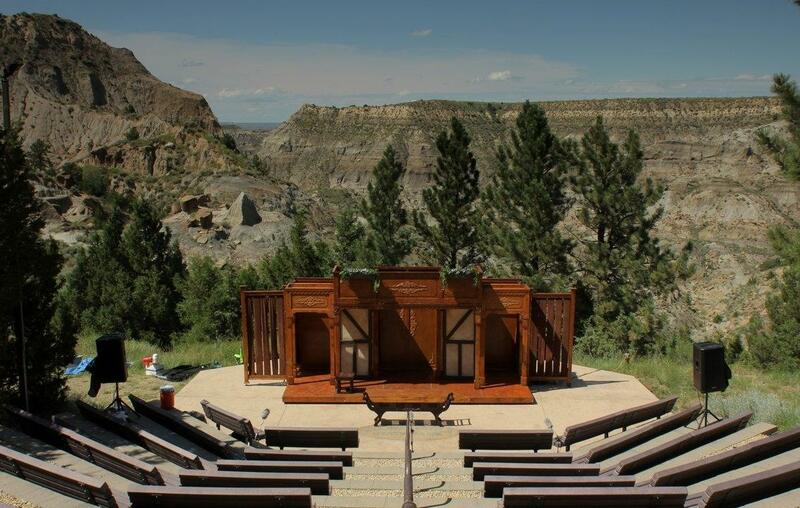 Bard in the Backcountry chronicles a summer with “Montana Shakespeare in the Parks,” a professional theater company based in Bozeman, Montana. Viewers get a behind-the-scenes look at the ten actors on tour as they cover over sixty-five hundred miles to perform Shakespeare in the rural towns of this vast region. 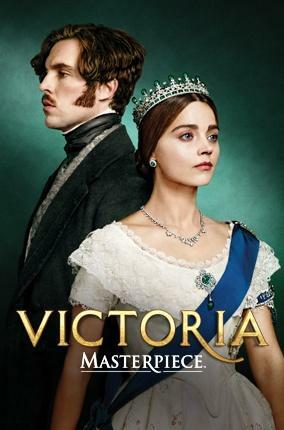 Along the way they encounter an array of characters, many of whom have been watching Shakespeare every summer for over forty years. We learn about the teamwork required to deliver a performance every evening in a new town and how the actors are also their own drivers, roadies, make-up artists, and set builders. Bard in the Backcountry reveals the mutual impact the tour has on the lives of these young actors and the people who put in the effort to bring Shakespeare to town. This journey provides a glimpse of the relevance that classic Shakespearean theater still holds in the lives of everyday people across the region. Cindy Stillwell is the founder of Hybrid Media LLC. Her films have screened at venues worldwide, including the Museum of Modern Art in New York, Sundance Film Festival, DOK Leipzig and the International Film Festival of Rotterdam. In addition her short films are distributed in collections from Slamdance Film Festival, Full Frame Film Festival, the Journal of Short Film, and FUTURE SHORTS, in the U.K. She has been awarded residencies at MacDowell, the Ucross Foundation and the Helene Wurlitzer Foundation. Stillwell received her MFA from New York University’s Tisch School of the Arts. 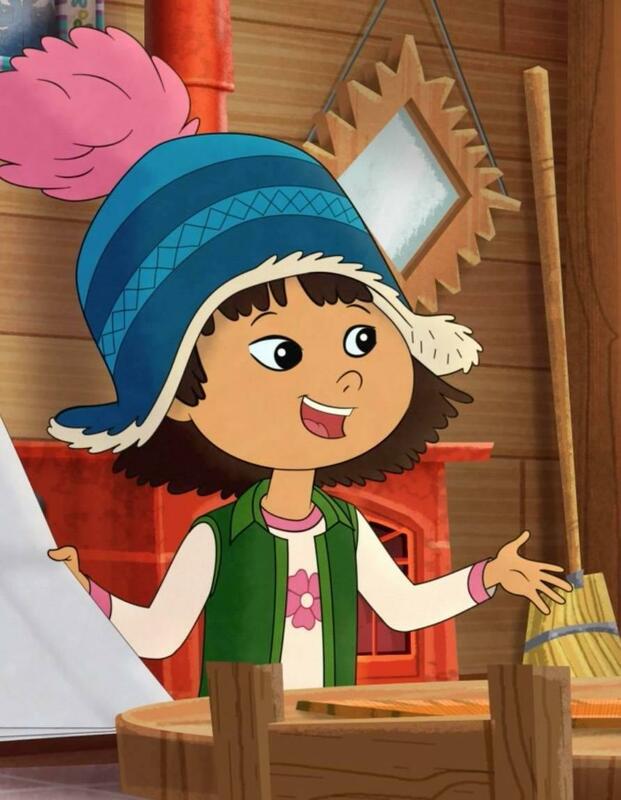 She currently lives in Bozeman, Montana, where she teaches film production and mentors graduate students in the MFA program in Science and Natural History Filmmaking as part of the School of Film and Photography at Montana State University. 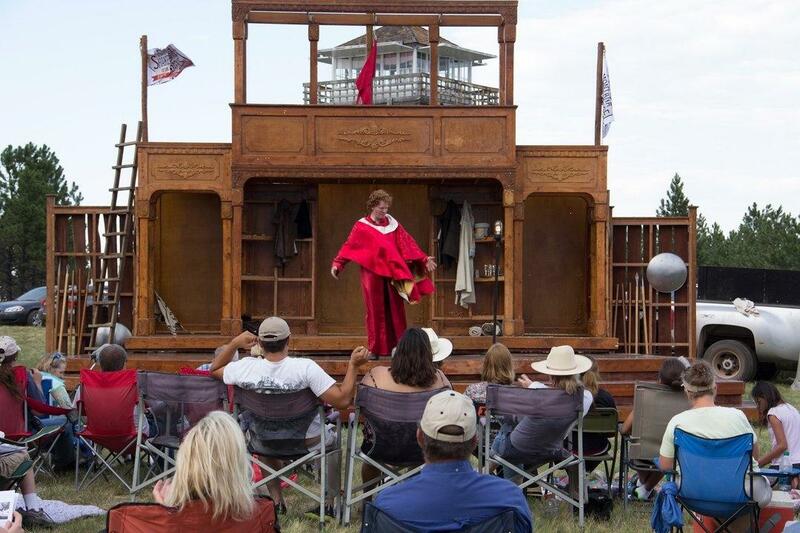 Actor and Tour Manager, Steve Peebles, opens the Henry V show on Poker Jim Butte, outside Birney, MT. 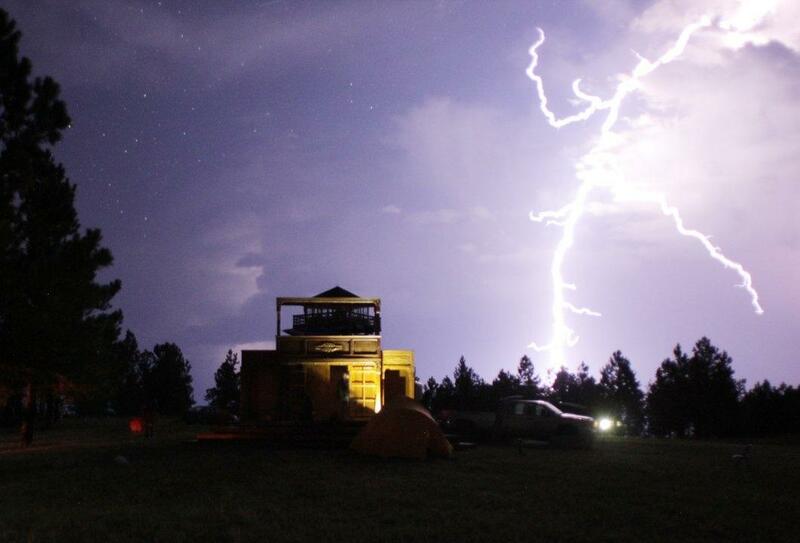 A summer lightning storm over the stage on Poker Jim Butte, outside Birney, MT. Pre-production in Bozeman, MT where fight choreographer Kevin Asselin trains actors Kody Walker, Casey Hoekstra, and Andrea San Miguel. 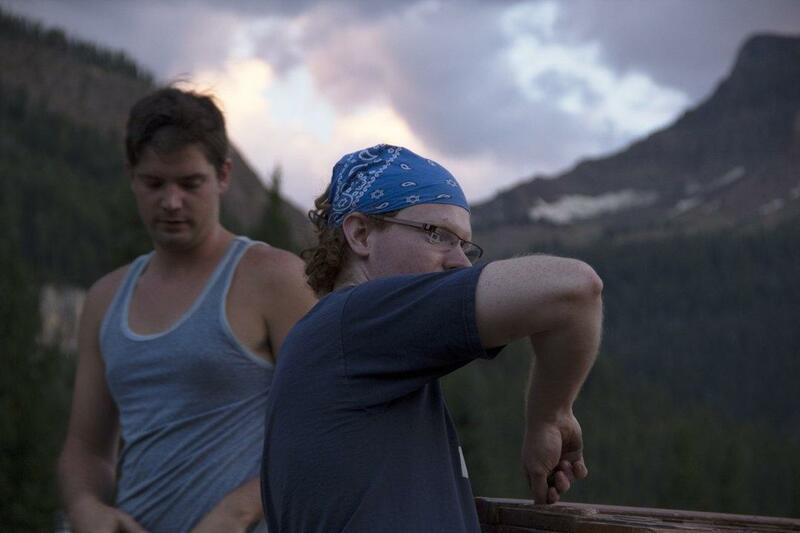 Actors Kody Walker and Steve Peebles work on tearing down the set in Cooke City, MT. 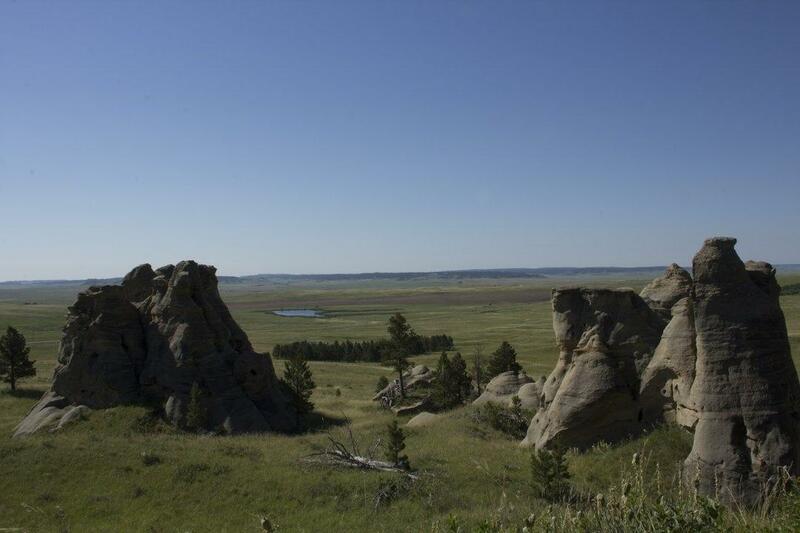 A still moment in Medicine Rocks State Park in eastern Montana. 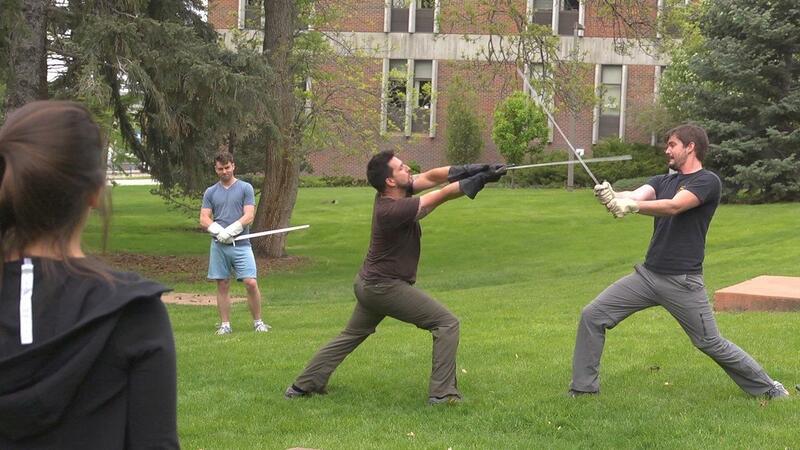 The Henry V battle in Utica, MT. Weezil Sampter demonstrates axe-throwing to actor Kody Walker in Libby, MT. 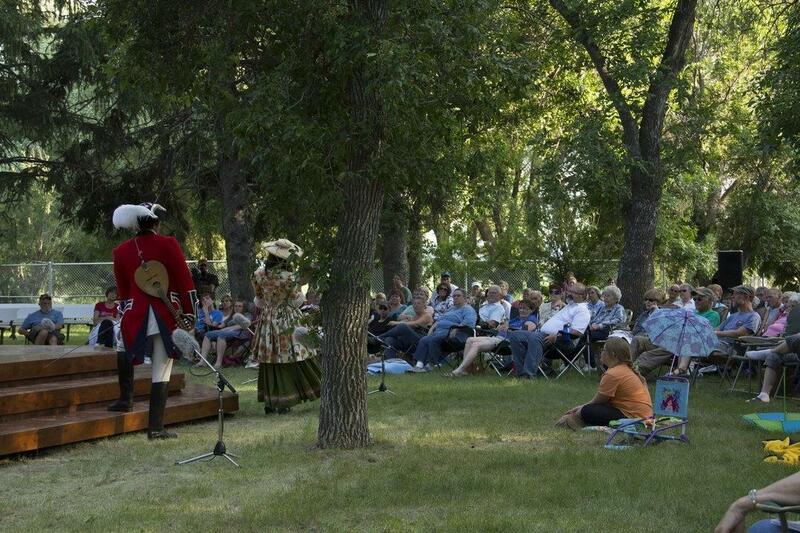 Lewistown fans enjoying the play The Recruiting Officer in the park.